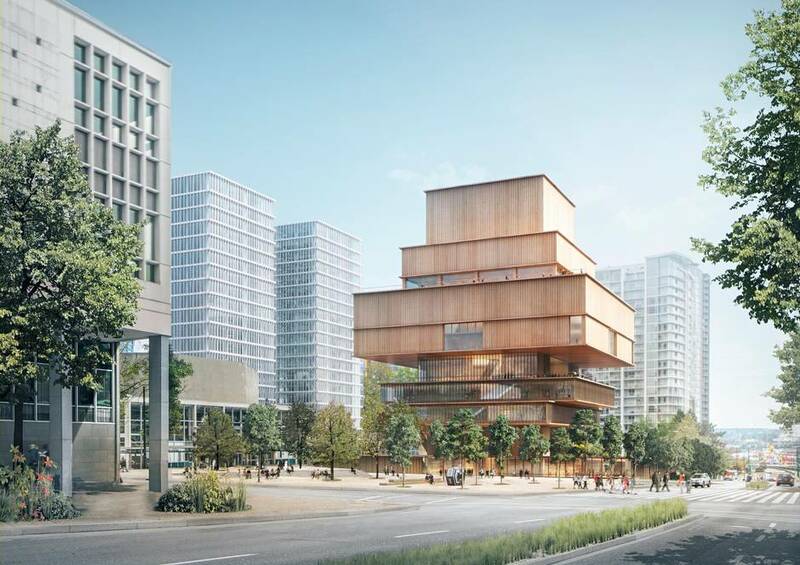 The proposed design for a new Vancouver Art Gallery by Swiss architecture firm Herzog & de Meuron Herzog will be wrapped in wood. You descend below ground, and then rise up into the air. 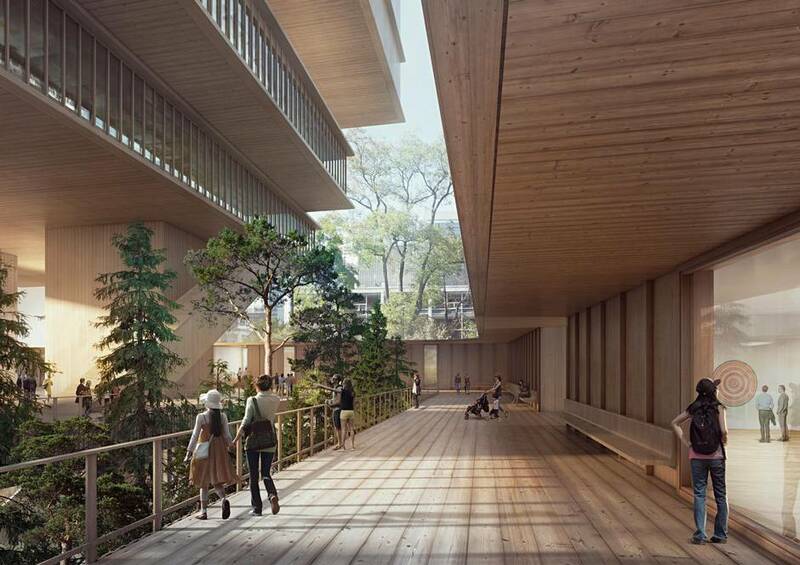 This is how the architects Herzog and de Meuron imagine visitors will enter the new Vancouver Art Gallery. If the scheme is ever realized – and even if it isn’t – that unusual promenade will change the way the city thinks about its architecture. The design proposal, which was unveiled Tuesday, is both a sensitive response to Vancouver’s building culture and a dramatic argument for doing things differently. Where other cultural buildings are horizontal, it would be vertical, rising 70 metres; while downtown Vancouver is a city of glass, it would be wrapped in wood; and while the low “podium building” is integral to the city’s urban design, the gallery complex would leave much of the ground level wide open – even bringing public space down below the earth. In the design, the 310,000-square-foot gallery is a tall, distinctive monolith. In drawings it appears as a stack of slabs, growing bigger at the middle and then smaller again at the top; some of these boxes are wrapped in wood-and-glass screens, others almost entirely in wood. An inukshuk? An Inca temple in the air? Pick your likeness. Like many of the cultural buildings designed by the Swiss-based architecture firm – not least the de Young museum in San Francisco – it would have a strong and haunting presence on the street. Logical enough. But what happens at the bottom is most unexpected. The building would face Cambie, Georgia and Beatty streets with low pavilions; inside this perimeter, the bulk of the building would be lifted off the ground by 12-metre columns to create a 40,000-square-foot public courtyard, sheltered from the rain and open to the air. Beneath this plaza would be a lobby and substantial gallery spaces, plus a sunken garden open to the sky. This solves the problem of the site’s steep slope while creating a weave of open and interior space, streetscape and enclosure. This is the theme that Arthur Erickson and Cornelia Hahn Oberlander played at Robson Square, taken to a new level of complexity. From here, visitors would rise by escalator or elevator right through the courtyard and into the building above, to an auditorium, a restaurant and then the main galleries on levels five, six and seven. This sequence makes perfect sense; the galleries would be sober boxes, lit through carefully placed skylights and high windows. Just as Herzog and de Meuron did at the Tate Modern in London – the most visited contemporary-art museum in the world – they have determined how to make a vertical gallery serve art. And add the bonus of some killer views, that crucial Vancouver amenity. Winners of the Pritzker Prize, HdM are one of the world’s leading architectural offices, and unlike many of their peers, they have no signature style. Indeed they pride themselves on making a close read of the place where they are building, and responding to it sensitively. With the VAG scheme they’re doing just that, and their main insight is that downtown Vancouver – filled with generic buildings “where the view from inside took precedence over the architectural expression of the city,” as they write in a statement – needs a shakeup. The gallery must be innovative enough to match the work produced by Vancouver’s artistic community, and different enough to mark a new era in the city’s cultural history. This design would accomplish just that. The gallery must also help provide a real agora, a public gathering place, of which the downtown has too few; the gallery site, once Larwill Park, served that purpose until the 1940s. To that end, the architects suggest blowing up part of Queen Elizabeth Square next door and bringing a new square down to the level of the gallery. That’s a bold gambit, which is exactly what is needed here. And while the VAG’s leadership is now engaged in a daunting lobbying effort and capital campaign – assuming a $300-million construction budget, which might or might not cover the cost of this scheme – it now centres on a urbanistic and architectural vision that is bold and compelling. If you read it closely, there is a polemic in this design. 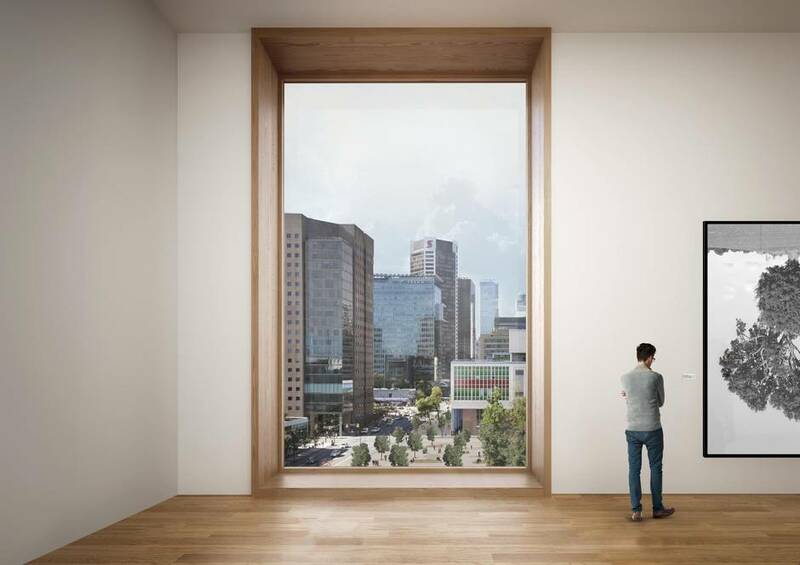 Part of the Larwill Park site would be redeveloped for profit by the city; Herzog and de Meuron have designed the block to push that commercial component into two towers along Dunsmuir Street. Those towers – which are not the architects’ to design – appear in the drawings as glassy, squared-off and entirely generic; they stop right at the ground to make room for an open plaza. Herzog and de Meuron have a message: In Vancouver, money takes the form of glass towers, but it should stop somewhere to make room for public space, and a place for culture that is beautiful, knotty and strange.